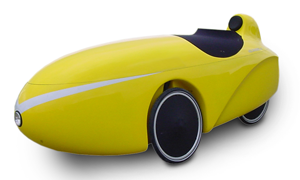 The Mango has been developed by Velomobiel.nl in 2002. Compared to the Quest it is more compact and has a smaller turning circle traded in for some loss of speed (estimated 10% around 35-40 km/h). 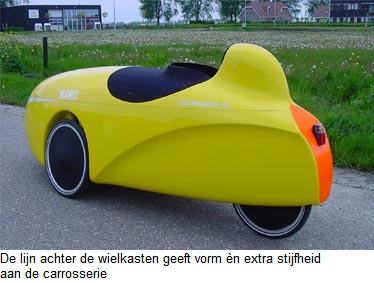 After having build 115 Mango's we have sold the model to the Ligfietsgarage Groningen (before Go-Mango) company. As a result there will be a bigger production facility for our velomobiles and for riders in the North of the Netherlands there is an extra service station for both Mango and Quest. 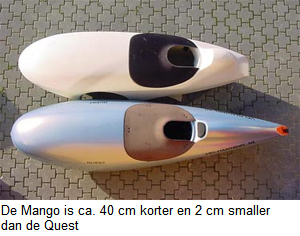 We also will continue servicing Mango's and will be able to resell new Mango's made by Ligfietsgarage Groningen. For more information, technical details, delivery time and prices you have a look at sinnerbikes website. 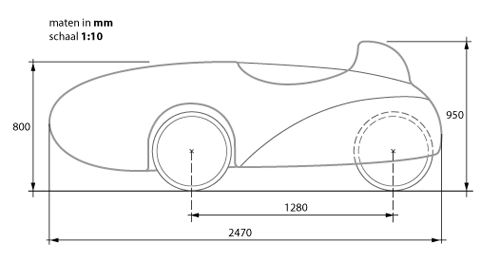 The Mango is about 40 cm shorter and 2 cm narrower than the Quest. 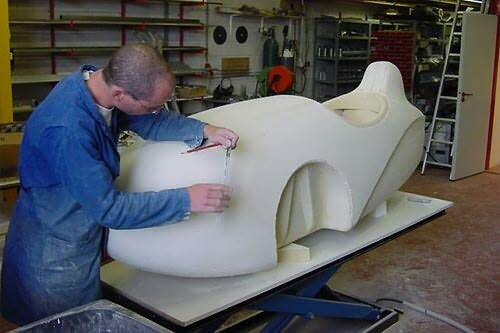 The design of the sides of the body shell is also functional; it brings more stiffness to the shell at the same weight.